Construction site. Unfinished high-rise building. Gray panel house. Construction and buildings. 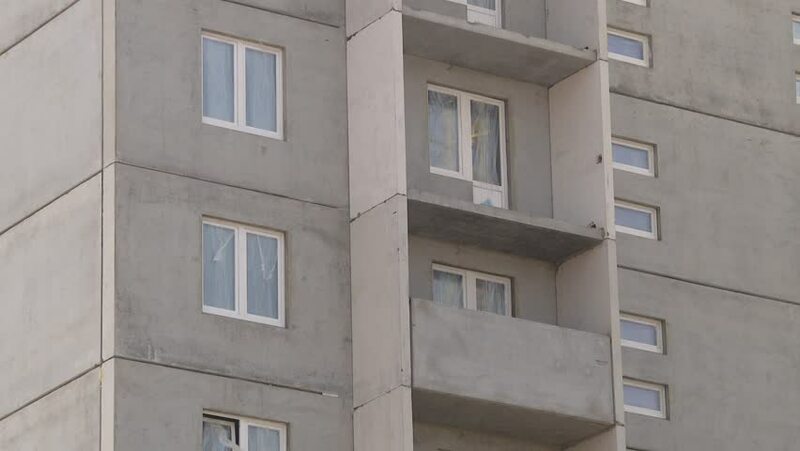 Unfinished gray balconies. hd00:09VILNIUS, LITHUANIA - MARCH 08, 2015: high professional builder make renovation on new house facade with special construction mechanism on March 08, 2015 in Vilnius, Lithuania.